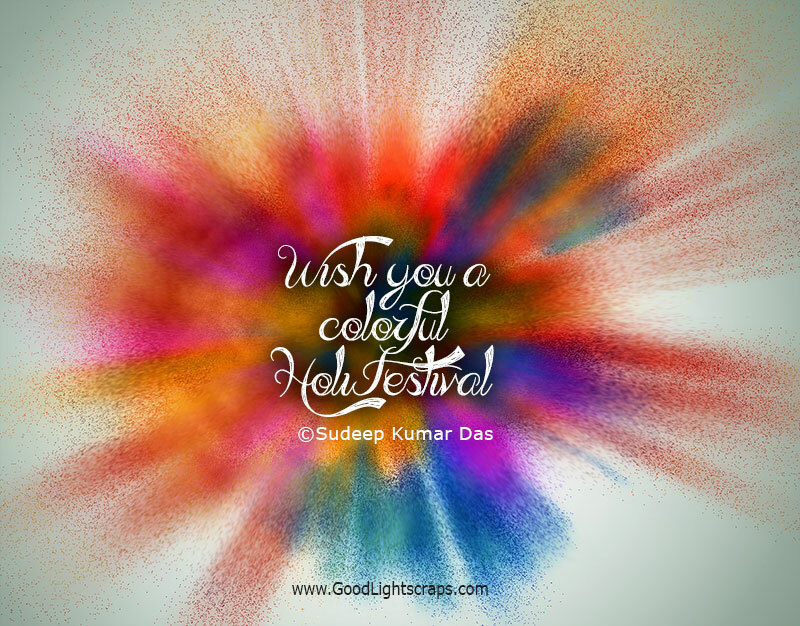 Unique collection of Holi 2019 greetings, scraps, graphics and cards, basanta utsav wishes for your facebook, whatsapp friends. 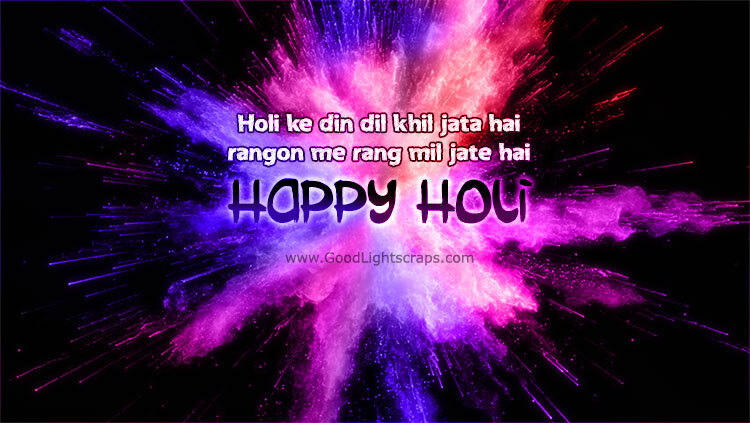 Holi is the festival of colours in India. 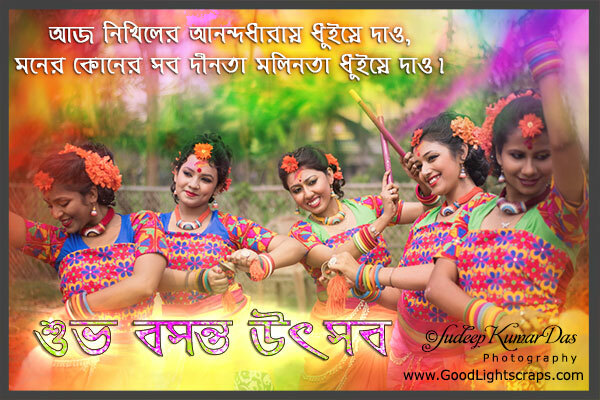 This festival is also know as Dol Yatra or Basanta Utsab, as it takes place in spring(basant) season. 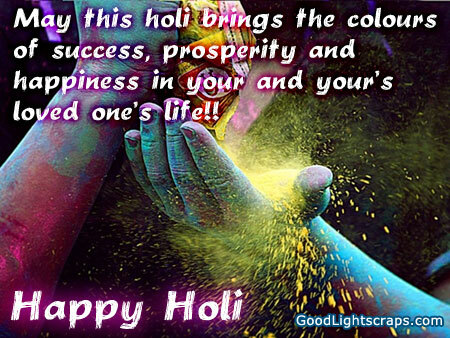 Holi festival is celebrated in Indian people by throwing and spraying colored powder and colored water to each other. 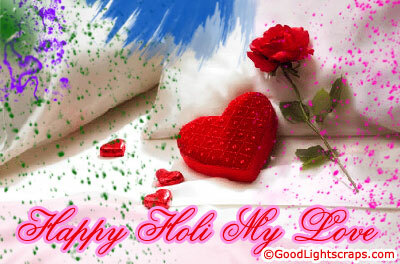 A day before holi bonfires are lit which is also known as Holika Dahan. 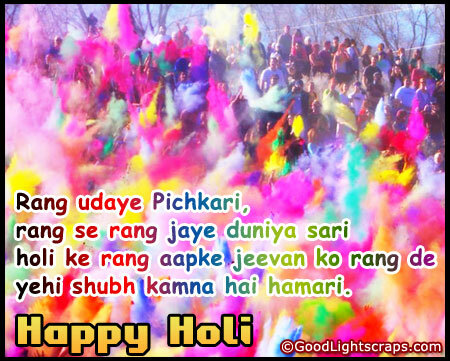 Holi brings the joy in our hearts though different colours which throw away all differences between us. 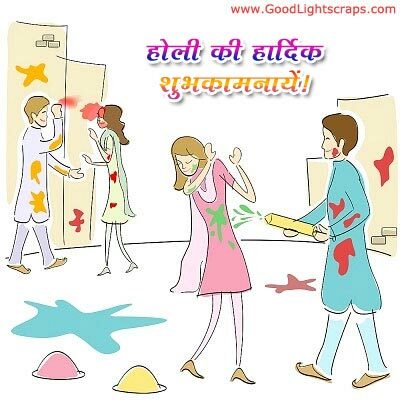 Send beautiful holi greetings, image scraps, happy holi wishes with beautiful holi scraps to your nearest and dearest one. 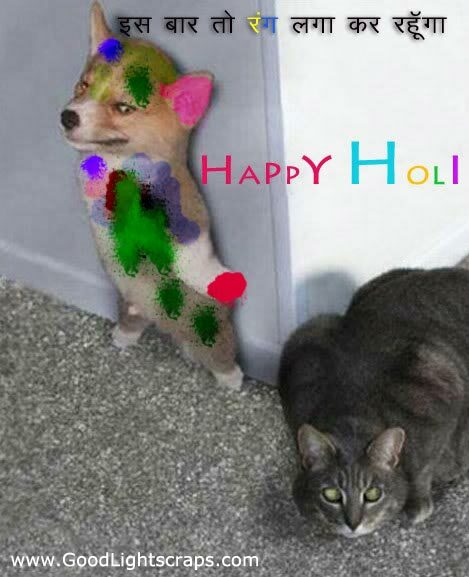 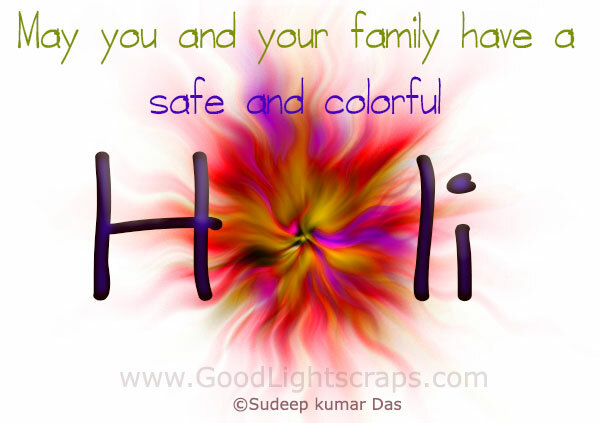 Say Holi Hai to everyone. 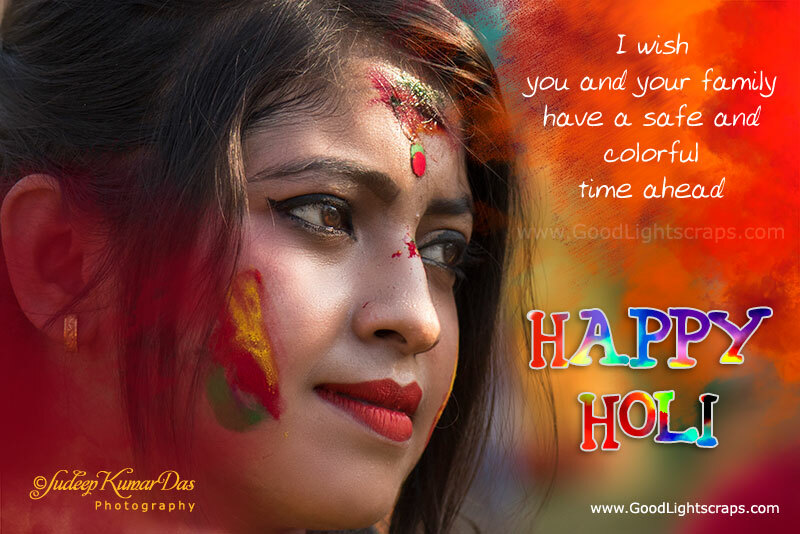 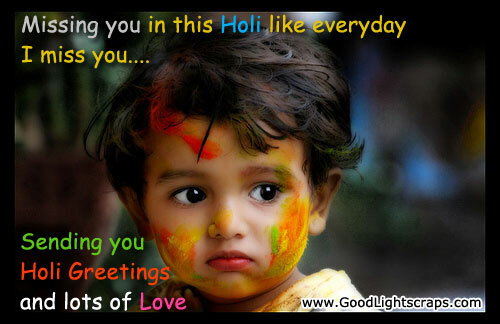 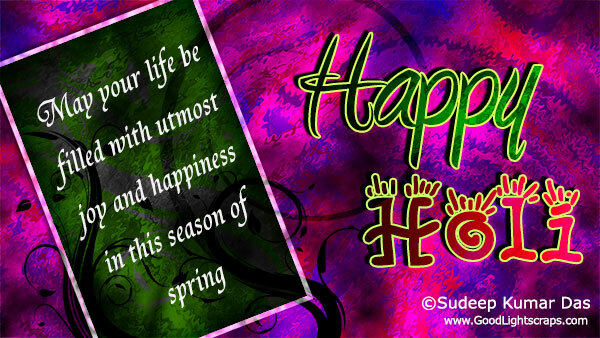 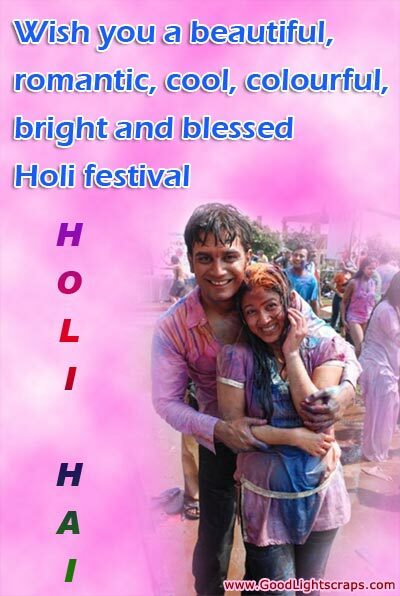 Get beautiful holi sms and text messages to send via mobile sms to your friends, and loved ones.